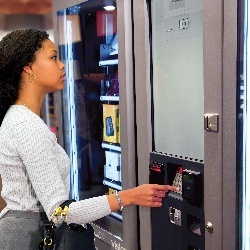 Vending machines offer faster service, a wide selection of products and 24/7 access. While consumers love vending convenience, they’re increasingly short on coins and cash. At the same time, the vending industry is seeking new opportunities to capture more impulse purchases and higher spending per consumer, while maintaining margins through improved price-setting flexibility. Ingenico Group provides the vending industry with end-to-end integrated solutions from acceptance of any cashless payment methods to centralized transaction management and reporting tools. We also enable vending operators to deploy loyalty and co-branded card programs through innovative e-money services. With our innovative and flexible iSelf Series solutions, you can accept all of the latest payment methods with unparalleled security. Our iSelf Series solutions comply with the latest PCI security standards and are certified across all acquirers in Canada. Integrating cashless payment acceptance into vending machines provides consumers with the convenience they demand while helping to boost sales. 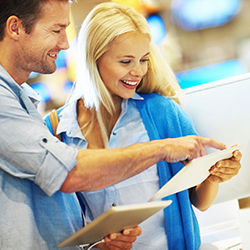 Optimize the self-service payment experience with our innovative Vending Solutions.